A 15-year project, which has seen over 300 acres of native tree species planted in notoriously ‘treeless’ Orkney, has come to a close. The Orkney Woodland Project, as well as advising on conserving and extending the few wooded areas that already existed, has initiated many new woodland areas for the local community and wildlife to enjoy into the future. Over the years, the projects has obtained grants for 228 individuals, schools and organisations to plant various native tree species in the county – all through advice from the project officer, with many additional sites being planted without a grant. Funding for the project came from the Forestry Commission, Orkney Islands Council, Scottish Natural Heritage and the Heritage Lottery Fund. The project has been run on a part-time basis by Jenny Taylor. Behind Jenny has been a steering committee which included representatives from the Council, the Forestry Commission Scotland, the Hoy Trust, Orkney Field Club, RSPB Scotland, Scottish Natural Heritage and various others. The local Scottish Natural Heritage office will now be the first port of call for free advice on woodland creation and management, whilst Jenny will continue her work as a consultant Landscape Architect and woodland advisor in Orkney. Work on the project began back in 1997, with funding from the Millennium Forest for Scotland Trust and the Forestry Commission. Over four years approximately 50 acres of woodland were created. The Orkney Woodland Development Project was then created which focused its efforts on woodland management advice and further tree planting. This was given a huge boost when the Forestry Commission provided specific top-up grants for Orkney and Shetland, which resulted in unexpectedly high levels of planting, especially in the outer isles. Over £250,000 of grants was obtained and 230 acres planted from 2001 until 2007. These projects were followed up by the Orkney Community Woodland Heritage Project (2007 – 2010) and the Orkney Woodland Project (2010 – 2012) which, as well as more tree planting, provided a range of activities and events as well as the production of leaflets and interpretation boards. 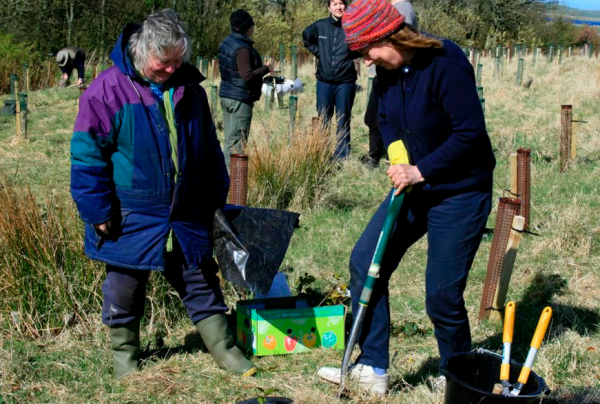 Whilst much of the planting was done on private ground, public areas of Orkney which have benefited include Muddisdale, Papdale Park, Happy Valley and the Peedie Sea, as well as various playparks and many school grounds. In addition, management plans were developed for most of the mature woodlands in the county. Additional funds from the Woodland Trust Scotland enabled suitable trees to be sourced and provided at no cost to numerous schools, community sites and small scale woodlands. Jenny Taylor, who has run OWP from the beginning, said: “I would just like to take the opportunity to say that it has been an absolute pleasure to work with all the people – from farmers to schoolchildren – who have so enthusiastically planted and cared for trees throughout the islands during this time. The commitment, enthusiasm and sheer hard work that I’ve encountered in people of all ages has been truly inspirational”. John Risby, for Forestry Commission Scotland’s Highland and Islands Conservator, said: “For over ten years the Orkney Woodland Project has been leading activity to protect and expand the woodland cover across the Northern Isles. A lot of effort has gone into gathering seed and cuttings from the remnant native woods and trees on the islands and using these to create new native woodlands.